Sunday marks the 55th anniversary of the establishment of diplomatic relationship between China and France. In the past 55 years, the two countries had frequent high-level exchanges, stronger business cooperation, expanding cultural and people-to-people exchanges and close communication and coordination on major international and regional issues. China and France established diplomatic ties in 1964, making France the first major Western power to recognize the People's Republic of China. Since then, bilateral ties have generally developed smoothly. In 1997 and 2004, France took the lead in the Western powers by establishing a comprehensive partnership and a comprehensive strategic partnership with China. In 2008, Sino-French relations experienced major twists and turns due to Tibet-related issues. 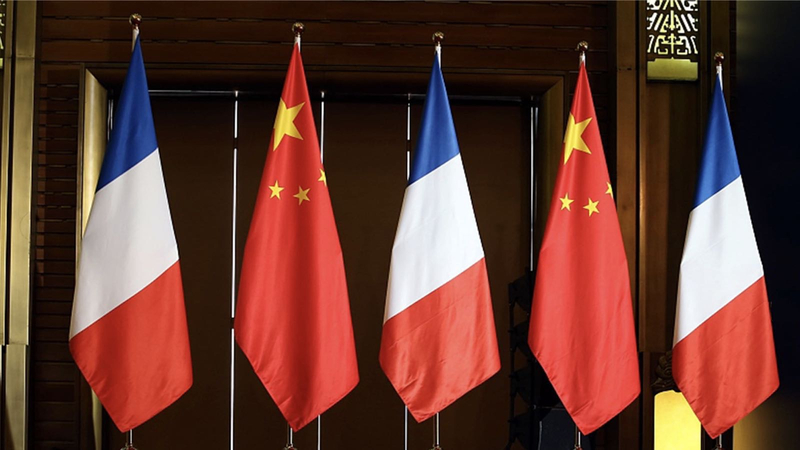 On April 1, 2009, China and France issued a press communique, and Sino-French relations gradually resumed the momentum of good development, and cooperation in various fields began flourishing. During Francois Hollande's presidency, the leaders of the two countries stayed in close communication on bilateral ties and international and regional issues through telephone conversations and exchanges of correspondence. After President Emmanuel Macron took office in May 2017, the momentum of strategic cooperation between China and France continued and was enhanced. Macron paid his first visit to China in January 2018 and met with President Xi Jinping. The two countries signed a number of deals in food, industry, financial services and so on. And the two leaders met again during the sidelines of the Group of 20 (G20) summit in Buenos Aires, and agreed to bring bilateral ties to a higher level and renewed their pledges to safeguard multilateralism. 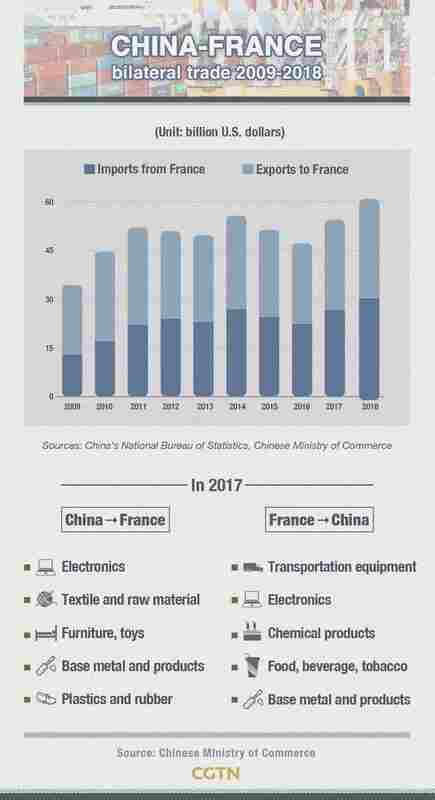 As of September last year, France is China's fourth largest trade partner within the European Union and fourth biggest source of actual investment. China is France's largest trade partner in Asia and sixth around the globe. - The signing of a memorandum of understanding for a deal on the construction of a nuclear waste reprocessing plant by Areva. - The order of 184 Airbus A320 jets for delivery in 2019-2020. - The lifting of a Chinese ban on importing beef from France. President Macron once applauded China's Belt and Road Initiative (BRI), pledging to work together with Beijing on it. "After all, the ancient Silk Roads were never only Chinese,” Macron said last January in Xi'an, capital of northwest China's Shaanxi Province. "By definition, these roads can only be shared. If they are roads, they cannot be one-way,” he added. Proposed by President Xi in 2013, the BRI comprises the Silk Road Economic Belt and the 21st-Century Maritime Silk Road, and aims to build trade and infrastructure networks connecting Asia with Europe and Africa along and beyond the ancient Silk Road routes. In May 2017, President-elect Macron chose former French Prime Minister Jean-Pierre Raffarin as a special envoy to Beijing to attend the Belt and Road forum. France will also have a high-level representative at the second Belt and Road forum in Beijing this April, according to French Ambassador to China Jean-Maurice Ripert. Earlier this month, the Paris Forum on New Silk Roads was held in Paris on January 10, sponsored jointly by the French Institute for International and Strategic Affairs and the Chinese Embassy in France. The first conference was held in November 2017. France has showed interest in the BRI and the two countries are expected to jointly launch several projects on infrastructure and ecology in the coming years under the framework of the initiative, said China Ambassador to France Zhai Jun. China and France have reaffirmed their commitment to deepening and broadening their cooperation on climate change on many occasions. In December 2015, China, France and 194 other parties reached agreement at the Paris climate conference and China signed the Paris Agreement in April 2016. 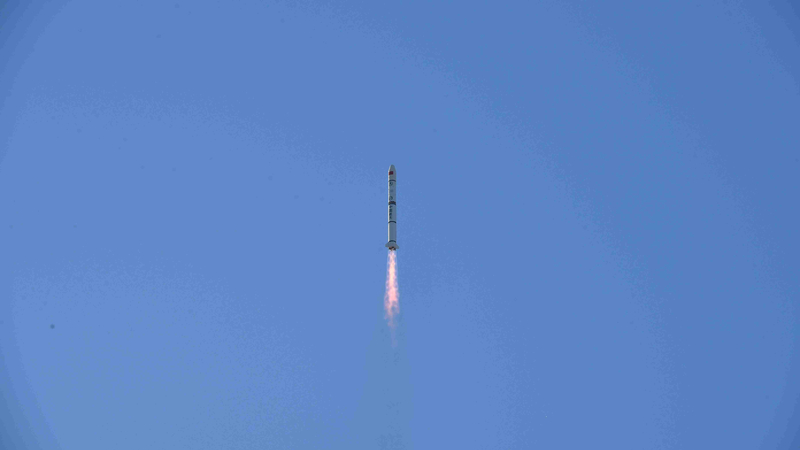 In October last year, the China-France Oceanography Satellite was launched into space, marking the official launch of the China-France Year of the Environment. President Xi pointed out that the move is aimed at strengthening dialogue and cooperation between the two sides in the fields of ecological environmental protection, climate change and biodiversity conservation to jointly address global environmental challenges. On the sidelines of the G20 Summit in Buenos Aires, China, France and the United Nations released a statement, renewing their highest political commitment to the effective and transparent implementation of the Paris Agreement in all aspects. Cultural and people-to-people exchanges between China and France have also kept expanding. 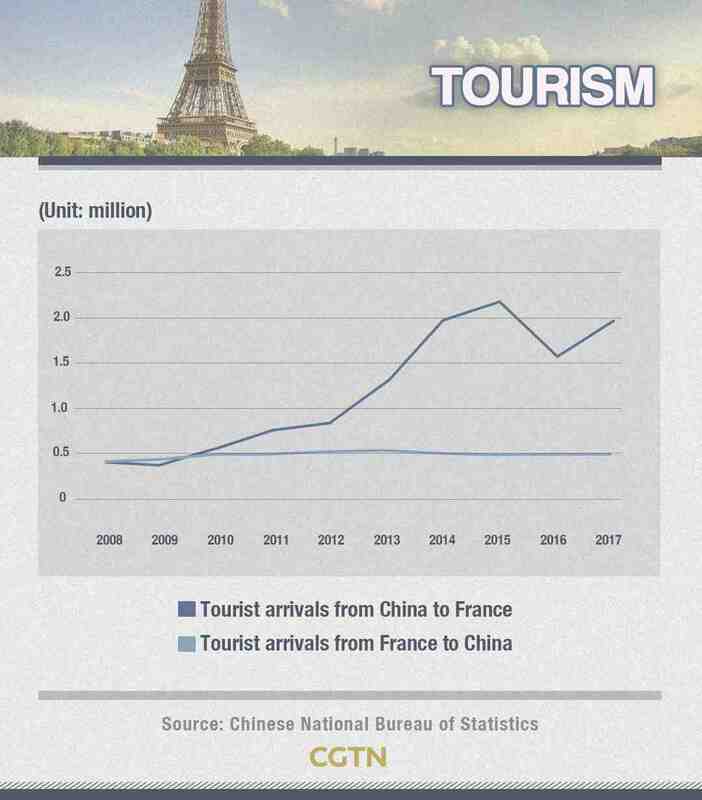 Last year, about 2.2 million Chinese tourists traveled in France, and more than 37,000 Chinese studied there. During Macron's first visit to China, he announced that the Pompidou Center in Paris, which houses the world's second biggest collection of modern art, has sealed a deal to open a franchise gallery in Shanghai. Another distinctive achievement is the Jimei Arles International Photography Festival, co-produced by Les Rencontres d'Arles in France and Jimei district in China's Xiamen City. Macron recognized the event as a unique example of Sino-French cultural cooperation during last year's China visit.